Recording its success for Apps in the Android Market, which recently crossed the 200,000 Apps mark, Google is in talks with developers of educational software to help build a marketplace for online learning programs. The search giant is stepping in a field where no one else has stepped before which obviously means that a Billion Dollar industry is awaiting welcome. Certain companies such as Grockit Inc. and Aviary Inc. have been contributing games and instructional tools for teachers on the Google Apps Marketplace. The store made its debuts back in March and has been able to record success amongst users as well as vendors. In a step to generate revenue from the project, Google is seeking educational developers to submit apps in order to generate revenue from the project. In a recent survey,software sales in U.S. schools and colleges have contributed to $4.5 Billion. This would offer a new growth stream for Google, which records most of its sales from search advertising. Currently, the company is offering free word processing, email and spreadsheet programs to students and teachers, the company now wishes to help outside developers sell applications to educators. 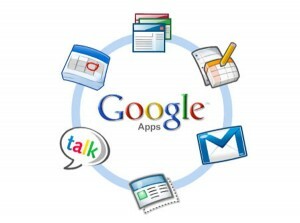 Software makers generate all the revenue from software sales on the Google Apps Marketplace but in the coming months, Google plans to share 20 percent share of sales.